According to the the U.S. Department of Transportation, one in every 10 deaths in highway accidents involves a tractor trailer. In 2012, more than 3,000 people died in tractor trailer accidents, more than half of whom were occupants of cars or other passenger vehicles. 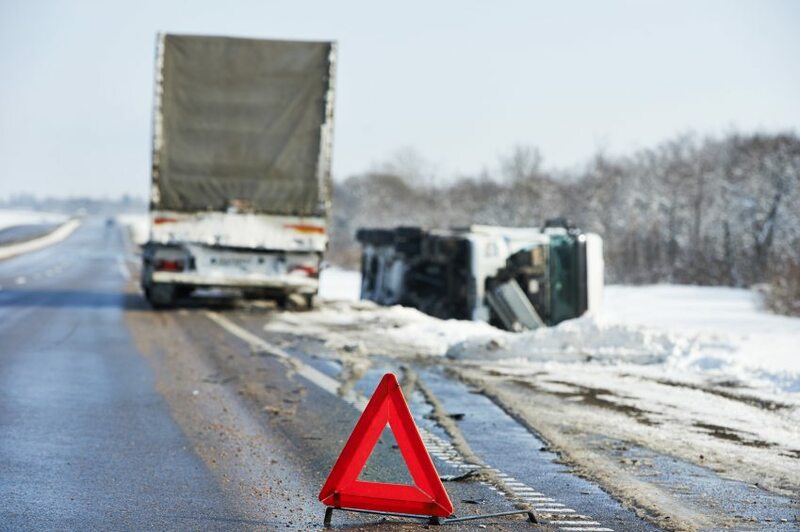 In the winter season, cold weather often contributes to tractor trailer accidents. 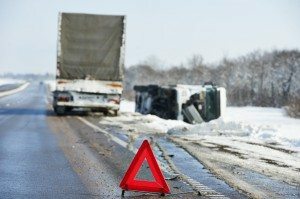 Considering that a an 18-wheeler truck often weighs 20-30 times more than the average passenger vehicle, braking is far more difficult in icy or rainy weather. If a driver is fatigued, is inattentive, or the brakes have not been adequately maintained, the potential for accidents increases exponentially. In Johnston County, North Carolina, an accident involving a tractor trailer and a school bus recently sent seven students to the hospital. Though the investigation is ongoing, according to Triangle-based WTVD, driver error in foggy conditions is thought to have contributed to the accident. If you’ve been injured as the result of a tractor trailer accident, or have lost a loved one, you should know you have options. You are entitled to compensation if you have been injured as a result of a tractor trailer accident caused by the negligence of the truck driver or the negligence of the trucking company. The 18-wheeler accident attorneys at Ward Black Law in Greensboro, N.C., can help. Our tractor trailer accident attorneys have decades of experience in helping victims of semi truck accidents file lawsuits and be compensated for their injuries, medical expenses, lost wages and pain or suffering resulting from driver error or equipment failure..
Any tractor trailer accident analysis begins with proving that the tractor trailer driver was at fault. The expert counsel at Ward Black Law will investigate the collision itself and will often hire accident reconstruction experts to evaluate how the accident occurred. If the tractor trailer driver was at fault, you are entitled to to compensation. What your case is worth depends on the extent of your injuries, your medical expenses, your lost wages and your pain and suffering. The attorneys at Ward Black Law will work hard to ensure that you receive the maximum amount for your tractor trailer case. In the meantime, hiring expert counsel is advised. Every tractor trailer accident involving an interstate motor carrier is governed by complex federal laws. In addition, North Carolina state laws also apply. Every tractor trailer accident is different and requires an analysis of how the accident happened, what law applies, and who was at fault. No two cases are the same. Working through a tractor trailer accident lawsuit can be a long and stressful process. The sooner you obtain a semi truck accident attorney the better. Once you’re a Ward Black Law client, we’ll help you fight the powerful trucking companies. From a free consultation to our expert representation, you should know you’re not alone. If you’ve lost a loved one or have suffered a trucking accident injury, the semi truck accident attorneys at Ward Black Law in Greensboro, N.C., are here for you. For more information, call us at 336-333-2244 or toll-free at 877-256-1214. You may also email us at info@wardblacklaw.com. And remember, there is no fee to you unless we win your case.